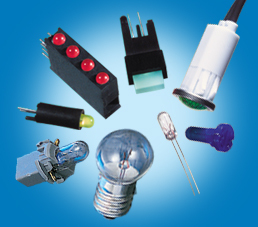 CML Optoelectronic Solutions From NTE Electronics, Inc.
NTE is proud to make available to you the most comprehensive line of lighting components in the industry. CML has built a reputation for providing superior quality, reliability, value, and service. With over 150 years of concept, design, and manufacturing experience, CML is uniquely qualified to serve your lighted component requirements. Their product capabilities range from discrete lamps to circuit board and panel indicators, to complete custom assemblies.